“Young and the Restless” spoilers for Friday, April 12, tease that Lola Rosales (Sasha Calle) will open up about almost sleeping with Kyle Abbott (Michael Mealor). At Rey Rosales’ (Jordi Vilasuso) place, Lola tells her brother about the incident and confesses it was her idea. She points out that she’s still in love with Kyle and he’s still in love with her, too. Lola frets about being a homewrecker since Kyle’s off breaking the news to Summer Abbott (Hunter King). Talk turns to Rey’s relationship with Mia Rosales (Noemi Gonzalez). Rey feels like he wasted his time since Mia wanted Arturo Rosales (Jason Canela) all along. He’s grateful to be with Sharon Newman now and suggests Lola’s fight for Kyle will be worth it if he’s the right guy. At the Abbott mansion, Summer takes Kyle upstairs to celebrate her new position at Jabot. He gets partially undressed, but he doesn’t sleep with her. Downstairs, Phyllis Summers (Gina Tognoni) blackmails Jack Abbott (Peter Bergman) with the photos her private investigator snapped. Jack is appalled, but Phyllis doesn’t care. She wants Fenmore’s back and some seed money to keep quiet. After Phyllis gives Jack tomorrow as a deadline, she takes off and Kyle comes down. Jack provides updates on the pics, but Kyle clears up what actually happened with Lola. Once Jack’s in the loop, he warns that Kyle needs to make his choice. Kyle loves Lola, but he worries about hurting Summer. However, he lets Jack know that they can’t cave into Phyllis’ demands. Jack ends up at Phyllis’ suite later and insists he’s not agreeing to her terms. He notes that Kyle’s going to break things off with Summer, so her leverage is gone. Phyllis still thinks she can frame this in a different way and cause trouble in the press. Jack’s not buying it, so they spar until Phyllis throws him out and smashes a mirror. She gazes at her reflection in a frazzled state. Michael Baldwin (Christian LeBlanc) also spends a romantic evening with Lauren Baldwin (Tracey E. Bregman) on Friday. When Jack appears, he wants to explain his plans for Jabot and Fenmore’s. Jack doesn’t think Lauren needs Phyllis to take her company to the next level. Once he shares what they’re going to do, Lauren’s all in. She gives Jack a hug and seems pleased about their arrangement. Back with Kyle, he speaks with Summer and she supposes her hubby slept with Lola. Kyle notes that they didn’t take that step, but he’s sorry for causing pain. Summer decides she can forgive Kyle and move past this. She gets that Kyle still loves Lola and is struggling to move on, but she maintains that nothing will shake her own love for him. Kyle cuddles Summer in bed, so it sounds like he’s in a bigger mess than before! “The Young and the Restless” spoilers say the drama will continue to hear up, so don’t miss all the action. We’ll keep you posted as other Y&R details and rumors emerge. Stay tuned to see what’s ahead in Genoa City. So Y&R fans, what do you think about these “Young and the Restless” spoilers? 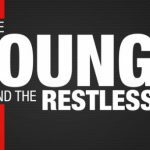 Voice your opinion in the comments and don’t forget to check Soap Opera Spy often for the latest “Young and the Restless” spoilers, rumors, updates, and news.